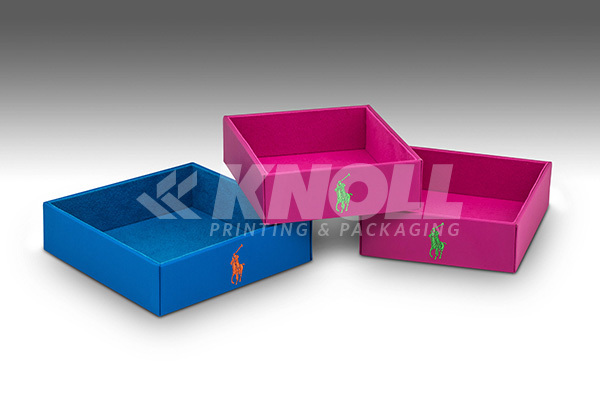 Products – Textural - Knoll Printing & Packaging Inc.
Tray wrapped with pebble PU and lined with faux suede. Logo embroidered on the front. 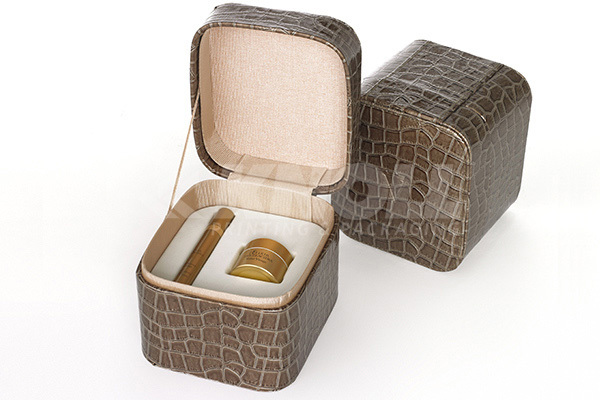 Hexagonal wood coffret wrapped with white PU, decorated with metal gold rim. Logo debossed in the cover. 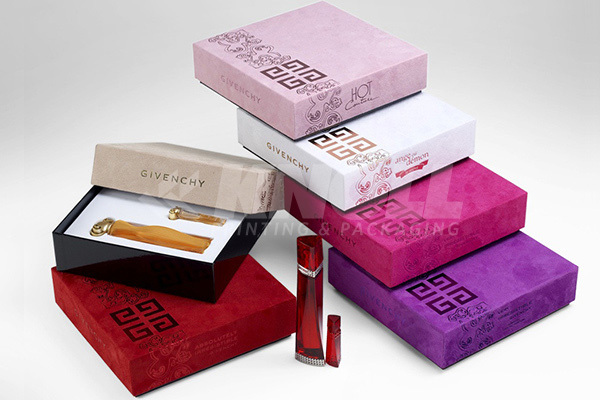 A collection of six beautiful setboxes, each with a cover wrapped in a different color faux suede. The logo is stamped on each cover in a similar color tone to the suede material. 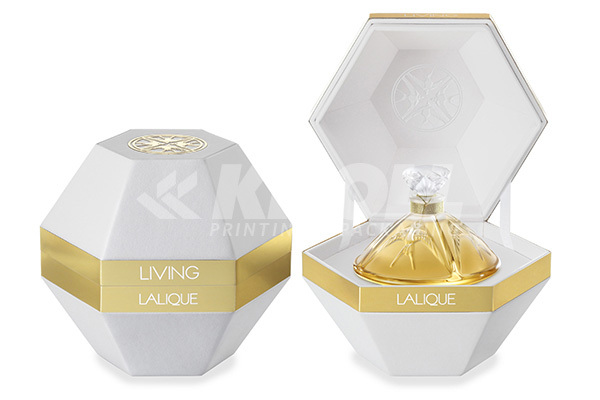 Inside each box is a white flocked vacuum form holding the fragrances. 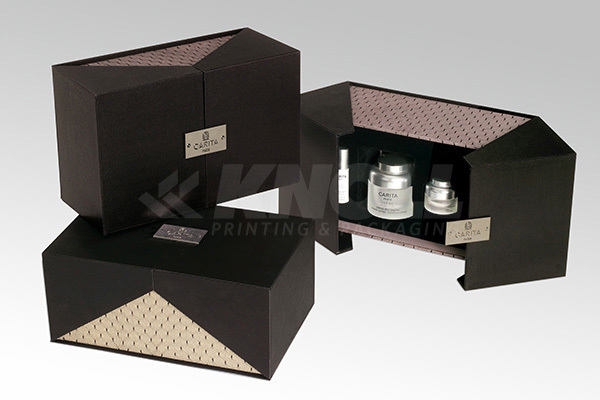 Round corner coffret wrapped in a patterened gloss faux leather with a debossed logo on the top panel. This elegant double door box has a uniquely wrapped with lace over paper on the base and black satin covers It's decorated with a logo engraved on metal plaque. Inside and outside elegance with hexagonal ring style box wrapped in blue velvet and encased in gold foil rigid box and cover. 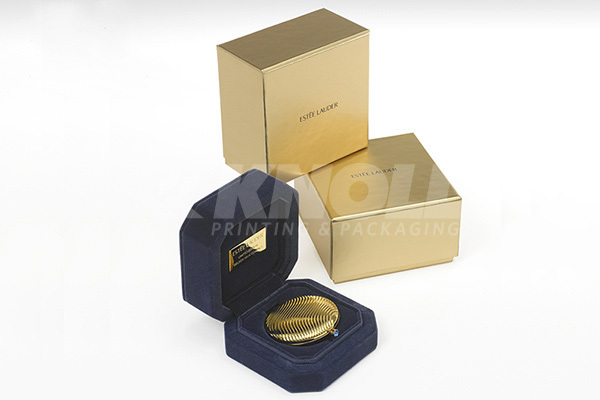 Brand signature is engraved on a gold plaque glued inside the cover.